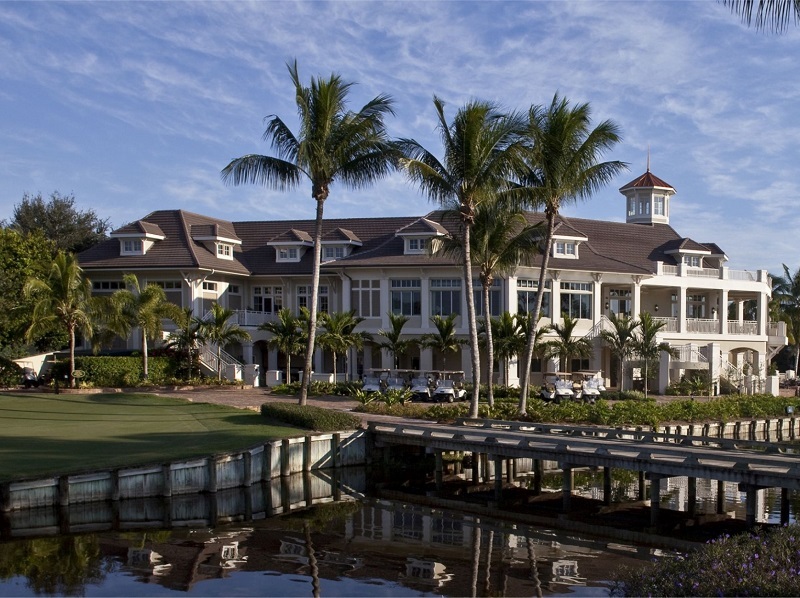 Pelican Marsh, one of North Naples most exclusive communities, is ideally located about a mile and one-half from the Vanderbilt Gulf Beaches. Mercato and Waterside Shops with upscale shopping, dining facilities and sophisticated nightlife are all close by as is the Artis (formally the Philharmonic Center for the Arts). Sitting on 1,000 acres of prime real estate, Pelican Marsh provides beautiful landscaping, numerous lakes, and a championship country club and community center. Miles of nature trails wind throughout the community for biking, jogging, and walking. Lighted fountains, pools and a wide variety of wildlife all add to the ambiance. There are 25 communities within Pelican Marsh consisting of condominiums, coach homes, villas and estate homes with most having a view of the golf course. This combination, in addition to its outstanding location, offers amenities far beyond the typical Naples golf course community. The single family homes range from 1,561 to 10,705 square feet with two bedrooms plus a den to six bedrooms plus a den and a two to five car garage. The coach homes range from 1,338 to 2,981 square feet with two to four bedrooms plus a den and a one or two car attached garage. The verandas range from 1,500 to 2,216 square feet with three or three bedrooms plus a den and a one or two car detached garage. The condos range from 1,167 to 1,327 square feet with one to three bedrooms and assigned parking or a one car carport. The 2700 square foot Pelican Marsh Community Center offers residents a state of the art fitness center with certified trainers, wellness programs and spa and massage rooms. 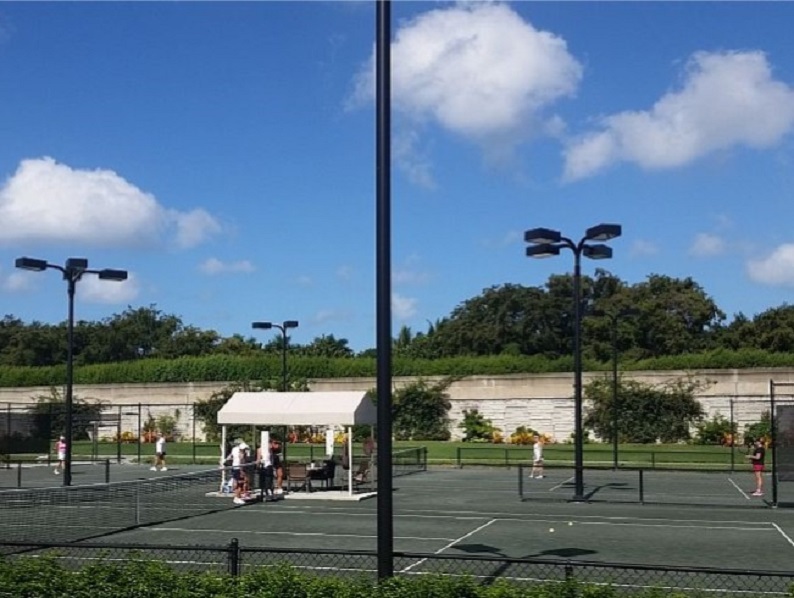 The Tennis Center has 9 lighted Har-Tru tennis courts with an on-site tennis pro, pro shop and offers clinics and junior and adult programs. 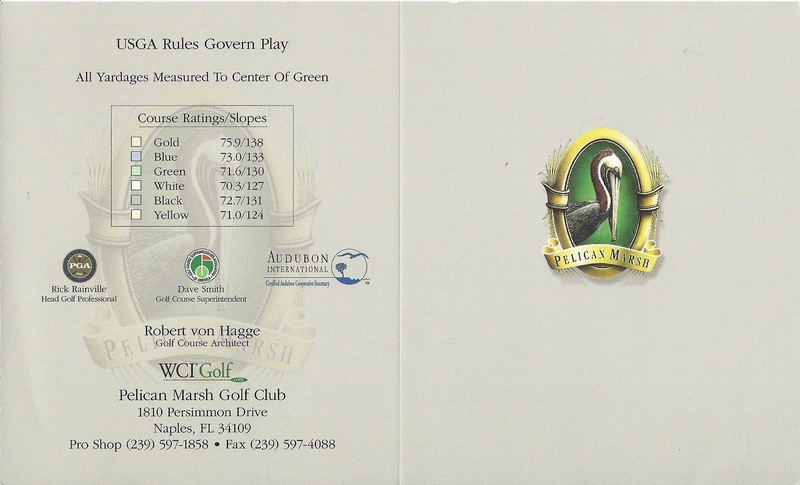 The Golf Club of Pelican Marsh is a private equity club fully owned by its members and offers both golf and social memberships. 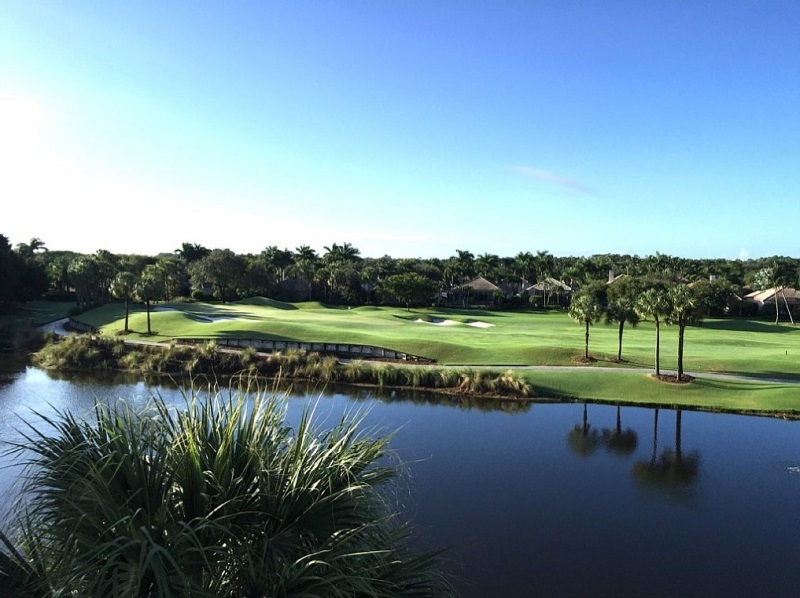 The course, designed by Robert von Hagge is unique in Naples with a 133 acre wetland preserve, numerous elevation changes and superb practice facilities. 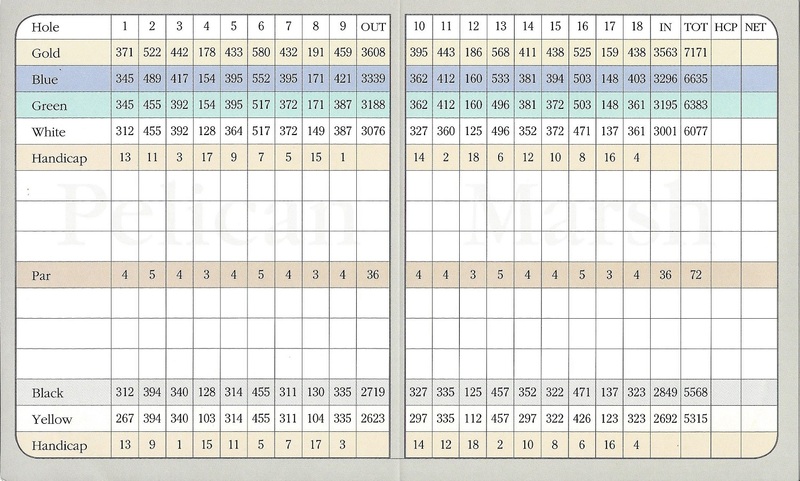 It plays to a par 72, and at 6,077 yards, makes every shot a challenge yet is a pleasure to players at all skill levels. The two-story clubhouse provides perfect place for a quick lunch after a round of golf or relaxing dinner with family and friends. Residents can also take advantage of an optional membership at the Pelican Isle Yacht Club and there is even a shuttle available to the Naples Gulf beaches.